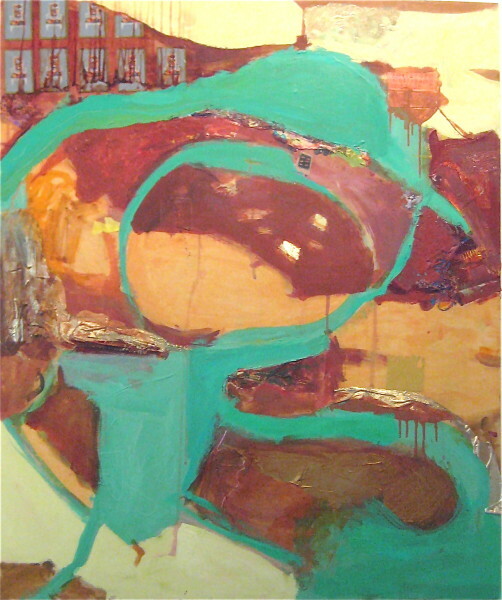 This entry was posted in $ale, abstract, collage, fashion, gluttonous self-gratification, paintings, pattern, portraits, and paint, solo exhibitions and tagged $200, 40"x48", available, brown, cards, chairs, collage, dresses, fabric, gold, green, orange, paint, teal, white, wood, yellow. Bookmark the permalink. Trackbacks are closed, but you can post a comment.